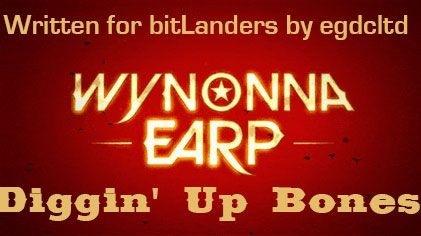 "Diggin' Up Bones" is episode five of season one of Wynonna Earp, the fantasy western series based on the graphic novel series of the same name about Wyatt Earp's descendant. In this episode, Dolls stages a raid on the trailer park. The episode opens with Wynonna in a white dress with an embroidered front panel running around a house. It's clearly not real what is happening. Wynonna hears a scream and finds Waverly on the stairs. Wynonna says she isn't Willa, but Waverly points at the dress, which belonged to Willa (although the real one would probably not have fitted Wynonna now). There's the sound of thunder and a hole in the ceiling reveals swirling clouds. A voice tells Wynonna to get them, and she says she killed them so hard they were sent back. There are skeletons at Wynonna's feet, but the voice says not all of them. In the Earp home, Waverly closes a window and goes to her sister. She says that the winds bring bad dreams. Wynonna says that she's half way through the seven that took Willa, but Waverly says there are 77 in the curse, not just seven. They are both struggling to remember their sister. Elsewhere, a revenant is falling to pieces, enough that it is able to drag itself away from where it is chained. The revenant is in really bad shape, and is probably Levi, the revenant that Doc dragged across the Ghost River Triangle Line in "Keep the Home Fires Burning". Wynonna arrives at the police station to find Dolls exercising without his shirt on (because the air conditioning is out) which causes her to make a few Freudian slips. Dolls says that they are meeting the city manager, so Wynonna needs to put on her grown up face. Something she didn't know she had. Dolls says that the city manager is the CEO of Purgatory, and a judge, so he can decide who is the law in the town. When the name Cryderman is mentioned, Wynonna recognises it. Given her previous history, that's probably not a good thing. Judge Cryderman says that he likes to know what's happening in his town, and Wynonna chirps up with a line about criminals, drug dealers and gangbangers. When Bobo Del Rey's name is mentioned, Cryderman says that Bobo isn't a moron, and Dolls tells the judge that Bobo may be a criminal. Dolls has a photo of Bobo taking delivery of a crate, which is being guarded by armed men. Dolls wants to prove that Bobo is heading up a criminal conspiracy, and talks the judge into giving a search warrant. 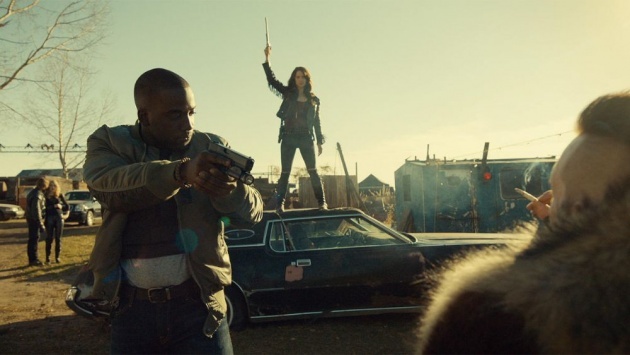 Wynonna doesn't see the point in such, but Dolls tells her just riding in and gunning down the revenants won't work, for the woman and children in the trailer park will also get cut down. Then a video of such happening will end up on the internet, and it will look bad. The plan is to get Waverly to take photos during the raid with the local finest and see if Doc recognises anyone. This does not go to plan. The trailer park is pretty much empty and Bobo is not in the least concerned. Nothing is found, so Wynonna takes matters into her own hands. She demands that the last two of the seven who killed her family be handed over. 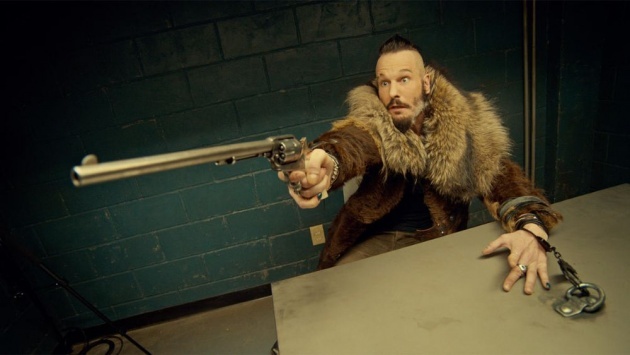 Several of the revenants attack Wynonna, to no avail, and Dolls arrests Bobo. At the police station, Dolls says the charges on Bobo won't stick. 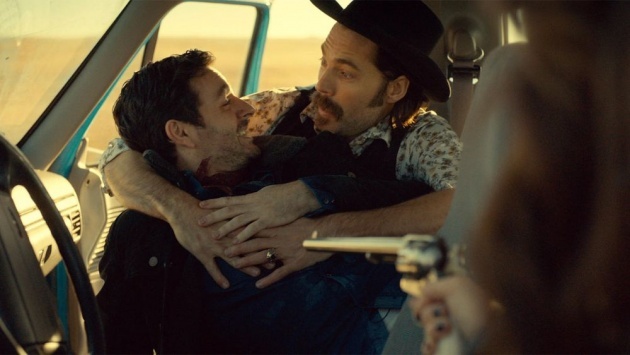 He also has to cover for Wynonna, because she's on his team. Waverly, with Bobo in custody, wants to know why he chose her to counteract the protections surrounding her family's home. The charges against Bobo don't stick, and the Stone Witch, who was mentioned but never seen in "Leavin' on Your Mind", makes an appearance. What she wants isn't clear. She also seems a tad unbalanced. Given what happened at the trailer park, it seems highly likely that Bobo was tipped off about the raid. Perhaps by Judge Cryderman, who may well not be a nice person. 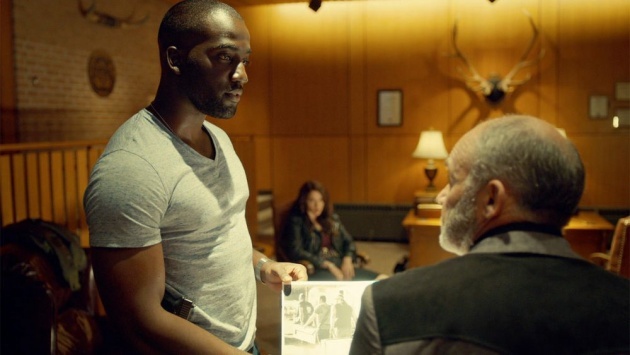 Another revenant asks Wynonna for a favour, and he doesn't seem like a bad person all told. A very well thought out and well written review.